'MLM' The American Dream Made Nightmare: CNBC's Jim Cramer: Still denying the 'MLM' financial holocaust. 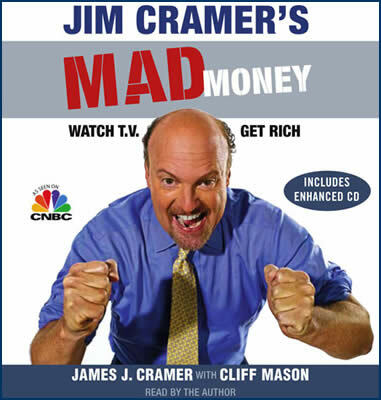 CNBC's Jim Cramer: Still denying the 'MLM' financial holocaust. 'Like most people I've never watched any financial television. I clicked on your links to some of the CNBC coverage of Herbalife. Although (to casual observers) this might appear to be a shocking, and unfair, comparison, I have to agree with it; for people who live in glass houses, do not generally throw stones. Indeed, even now (with a few notable exceptions) mainstream financial journalists are not yet making a determined attempt to confront the true extent of ongoing 'MLM income opportunity' racketeering in the USA, let alone elsewhere: in essentially the same way that mainstream religious correspondents once ignored the extensive exploitation of vulnerable children, being deliberately-hidden by the sanctimonious hierarchy of the Catholic Church. 'Herbalife MLM Income Opportunity' racketeer, Michael Johnson. As far as we know, the bosses of groups like 'Herbalife (HLF)' have not been covering up organized sexual, and violent, abuse, but these narcissistic racketeers (who have steadfastly pretended moral, and intellectual, authority whilst peddling a cruel illusion of a future Utopian existence), are undoubtedly guilty of organizing, and covering up, financial, and psychological, abuse on a scale which almost beggars belief. However, how else can such a vast, and pernicious, blame-the-victim cultic fraud be accurately described? Remember, we are talking about a never-ending chain of tens of millions of vulnerable persons around the globe, currently being churned through a constantly-expanding number of essentially-identical, dissimulated rackets, annually. Indeed, the harder the world economic crisis has bitten: the easier it has been for the 'MLM' virus to spread. Readers should never forget that the various mainstream financial journalists who are still exhibiting confirmation bias by doubting Bill Ackman's accurate, but somewhat-mild, analysis of 'Herbalife' shares as being effectively-valueless, have enthusiastically promoted 'Herbalife' as being a sound and lawful investment, in the very recent past. When the 'Herbalife' racket inevitably collapses, the likes of CNBC's Jim Cramer might be facing legal action (not least from any CNBC viewers who took his financially-suicidal advice and bought, or held onto, 'Herbalife' shares). However, if Mr. Cramer (a wealthy, but controversial, author, former hedge-fund manager and graduate of the Harvard Law School) really has swallowed the absurd 'MLM Income Opportunity' fairy story (as recited by Michael Johnson and his crooked little pals): then he is almost-certainly not going to want to face ego-destroying reality. All the same, even though some naive people will say that Mr. Cramer is probably too stupid to be held fully to account, it would be very interesting to know exactly what this amoral loud-mouth's own financial, and/or personal, involvement has been. It will come as no surprise to regular readers of this Blog to discover that anyone (with sufficient cash) can buy Mr. Cramer's energetic services (as a public speaker) for $50 000-$100 000. The US FTC seems to be reeling one of them in: Fortune High Tech Marketing. Waiting with interest to see what happens next. David Brear published the following article on Shyam Sundar's 'Corporate Fraud's Watch' more than 2 years ago . 'Amway' and 'FHTM' are the American Dream made Nightmare. The criminogenic organization known as 'Fortune Hi-Tech Marketing' is an 'Amway' copy-cat. i.e. 'FHTM' is the reality-inverting label over the entrance to yet another self-perpetuating 'MLM Income Opportunity' cult. 'FHTM' was instigated, and is run, by a gang of exceedingly-greedy, but otherwise-mediocre, little racketeers from Kentucky. These narcissistic parasites have begun to grow rich by peddling an unoriginal lie whilst steadfastly pretending moral and intellectual authority. In the adult world of quantifiable reality, the authenticity of the 'FHTM' lie is currently being challenged all over the USA, after the State of Montana charged that 'FHTM' was actually a dissimulated pyramid scheme. However, exactly like the billionaire bosses of the 'Amway' mob, the millionaire bosses of the 'FHTM' mob posed as innocent Christian businessmen/philanthropists under attack and instructed their aggressive echelon of attorneys to negotiate a 'settlement' with the plaintiffs. i.e. Without admitting any fault, they agreed to hand-over a significant chunk of their ill-gotten gains in Montana, in order to continue their clandestine criminal activities elsewhere. It is common knowledge in the USA that 'FHTM' is a pernicious blame-the-victim scam http://www.youtube.com/watch... . Indeed, it is common knowledge in the USA that all so-called 'Multi-Level Marketing' companies are shielding essentially the same, dissimulated closed-market swindle. This general video warning has been recently produced by the Bureau of Consumer Protection at the US Federal Trade Commission http://www.youtube.com/watch... . However, it beggars belief that senior FTC officials like Eileen Harrington can use public funds to pretend that the FTC wants to protect the American people from 'business opportunity' fraud, when, for decades, other senior FTC officials have allowed this cancer not only to gnaw its way into the USA, but also into the rest of the world. Despite more than half a century of damning-evidence, senior US government trade officials prefer to remain blissfully-ignorant of the fact that behind all so-called 'MLM' companies has lurked the ongoing historical phenomenon of criminogenic, or pernicious, cultism. Meanwhile, the self-appointed bosses of these reality-inverting, totalitarian groups continue to rake-in vast fortunes by peddling variations of the same Utopian fiction as fact. 'MLM Income Opportunity' fraud is undoubtedly a form of major organized crime spawned in the USA. It should never have been left to ill-informed, and/or corrupt, American regulators to deal with this internal threat to democracy and the rule of law. Spotlight on the 'Nu Skin' racket. How does the 'Herbalife/MLM' bluff function?